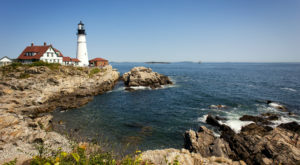 Is there any better time of year in Maine? While we’ve loved the summer, there’s something about autumn in Vacationland that makes us feel cozy and warm. Bonus points if the sun is still shining and temps are above 65! 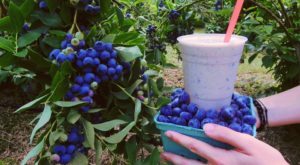 While we get ready to embrace the changing of the seasons, make sure you’ve got at least a few weekends open for visits to local orchards. But, not just for the apples! 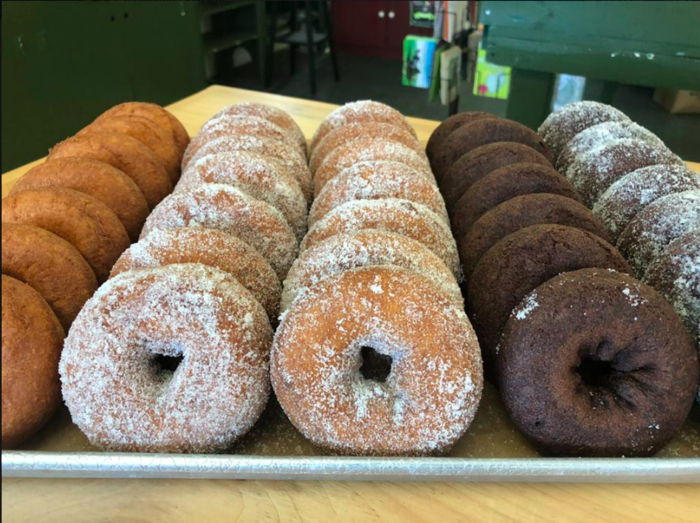 You’re going to want to gobble up some apple cider donuts in Maine and we recommend you head straight for these places. 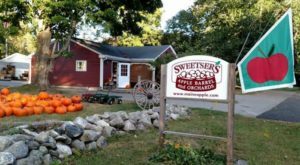 Growing local fruit since the 1950s, this family-run operation is dedicate to the fine art of autumn! 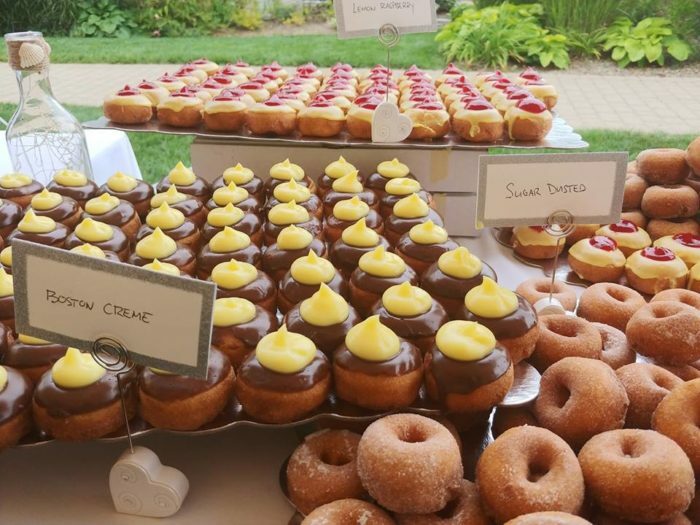 And the cider donuts? Perfection. Come watch them being made throughout the season. They're located at: 86 Sawyer Mountain Rd., Limerick / (207) 793-4749. 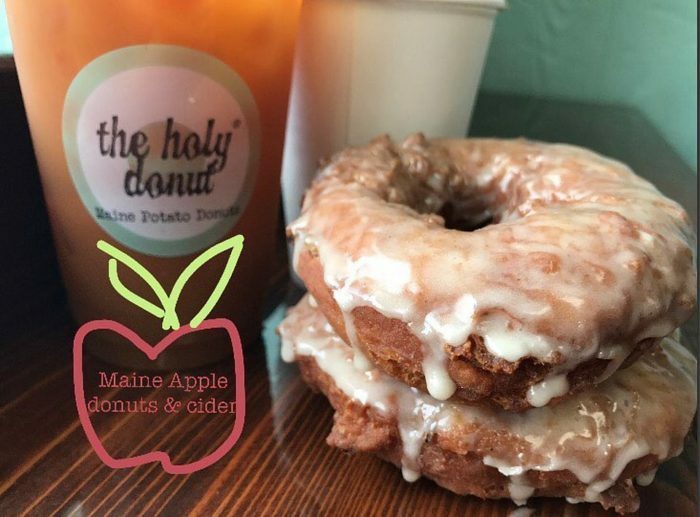 You don't have to visit an orchard or farm to dig into some of Maine's best apple cider donuts. Eighty 8 Donuts, which is a roving truck in the Portland area, serves a delicious mini apple cider donut with a caramel glaze. Yep, it's heaven. 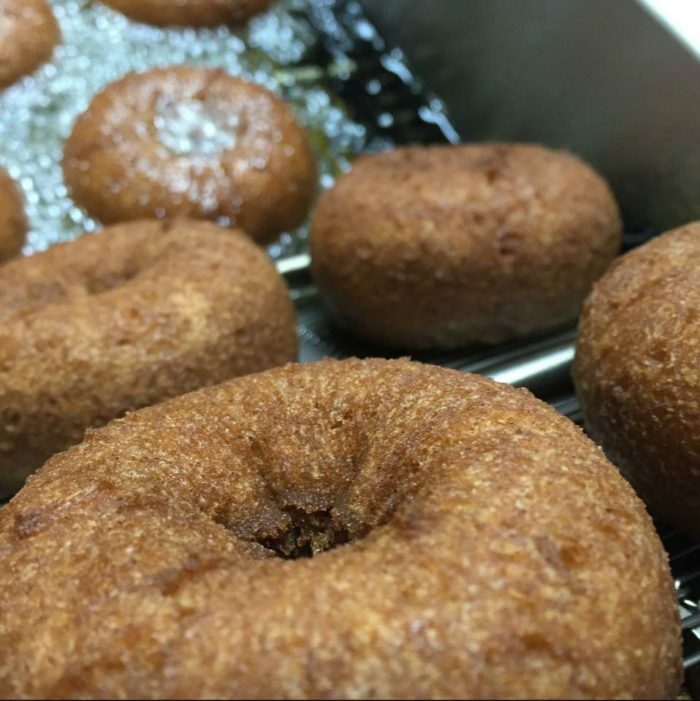 The finest apples make the finest cider makes the finest apple cider donuts. This place is worth an entire day's visit, so be sure to plan ahead. Bring kids who will love playing with on the train and with the animals. But, it's also perfectly acceptable to visit alone for the sole purpose of bringing home sugary, sweet apple cider donuts. 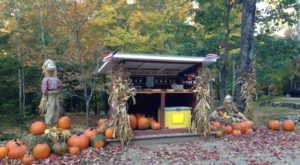 Their farm stand is located at: 224 Sokokis Ave., Limington / (207) 730-9169. 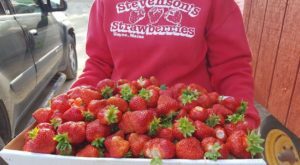 And the pick-your-own farm is located at: Staples Rd., Limington. 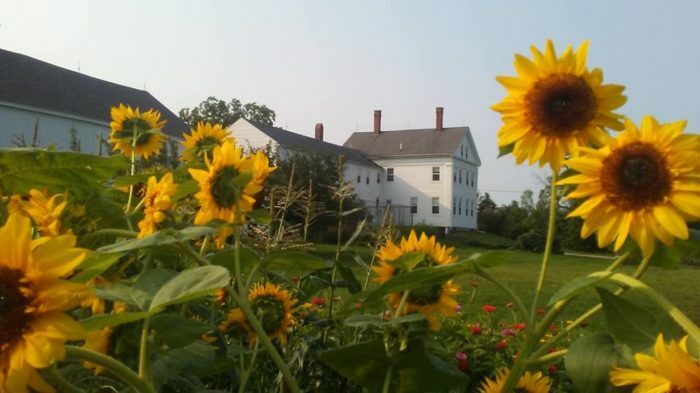 This farm is open every single day from 9 a.m. to 5 p.m. through November. 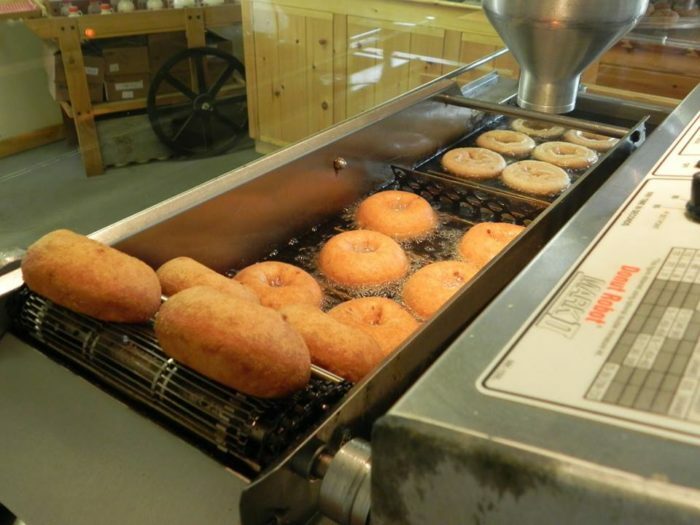 Plenty of time to go back again and again for their perfect apple cider donuts. The crust is crunchy and the inside is moist, making for a treat you'll want to eat throughout the year. 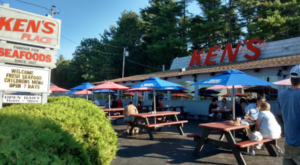 They've also got a Maine Made gift store, an great lunch menu and a huge playground featuring their famous Apple Blaster slingshot. They're located at: 363 Durgintown Rd., Hiram / (207) 625-4777. 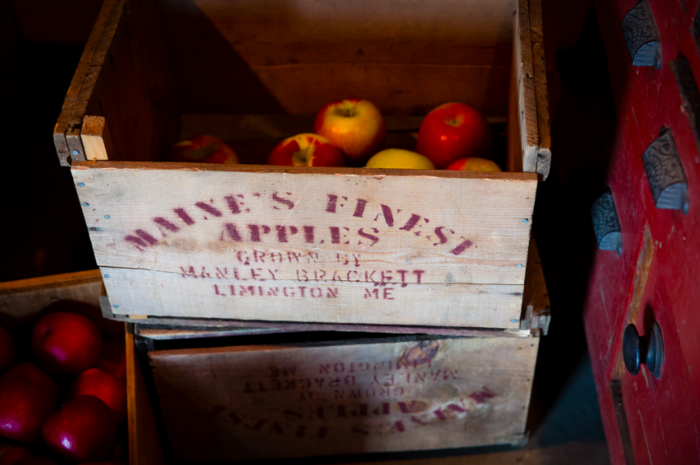 This might be one of the most well-known orchards in Maine. While they've got lots of apple options, what we love most are their freshly baked foods. Including...their apple cider donuts. Enjoy them with a hot cup of cider, then walk away with a homemade pizza. They're located at: 803 Waterford Rd., Sweden / (207) 647-9419. Another surprising option, this non-farm shop is just a bit more unique than the others on this list. Their seasonal delicacy is a dose of autumn in your mouth. Each one is packed with packed with chopped apple and comes with a cider glaze. Don't forget to get some hot (or iced!) Maine cider as well! 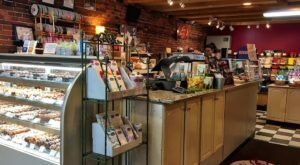 They're located at: 7 Exchange St. / (207) 775-7776 and 194 Park Ave. / (207) 874-7774 in Portland and 398 Route 1 in Scarborough / (207) 303-0137. Call ahead as they close when they run out of donuts each day. 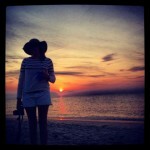 If you're looking for a one-stop-shop for all things fall this is your place! 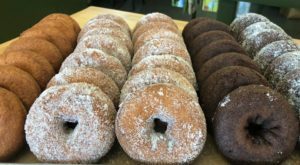 Of course they have famous Captain Jack's cider donuts, but you can also grab just about any fruit you might want for the season. Don't leave without your own jug of cider (the same one they use for the donuts) and before visiting the fairy village and corn maze. They're located at: 201 Hanson Ridge Rd., Springvale / (207) 324-5054. What's the only way you can make a cider donut better? By adding powder sugar, which is exactly what they've done! This full bakery is open through December, making it feel like they're totally dedicated to our sugary needs. They're located at: 174 Auburn Rd., Turner / (207) 225-3764. 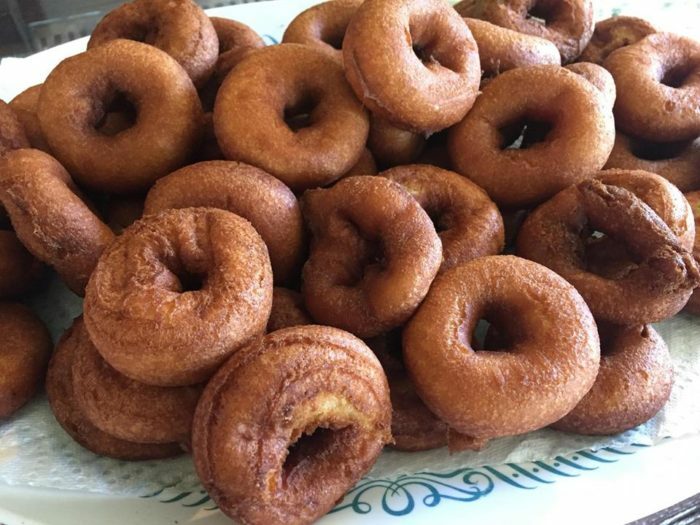 For over 38 years this little farm has been offering home baked apple cider donuts to delighted locals. 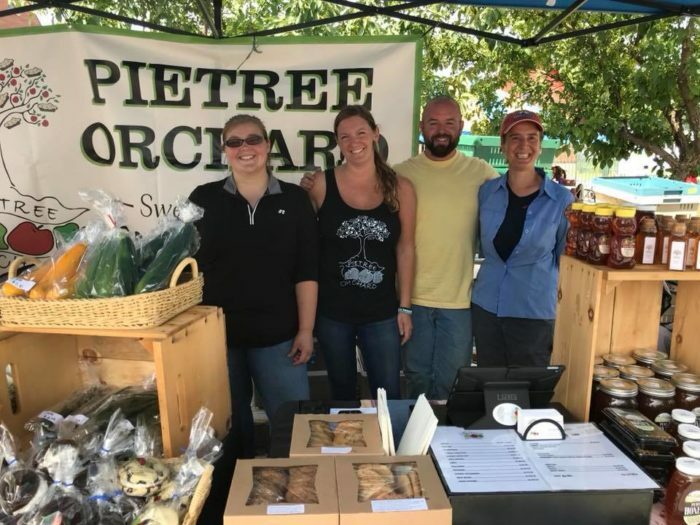 They also have a full line of Spring, Summer, and Fall vegetables and fruits that are all home grown. Be sure to pick up their seasonal produce and even some fresh cut flowers. They're located at: 1171 Atlantic Hwy., Warren / (207) 699-8723. While you’re on the hunt for autumn-themed things, check out these day trips to towns and attractions across the state. They’re a great way to spend a fall day.